It's easy and free to create an account. Get a feel for the system with no obligation. 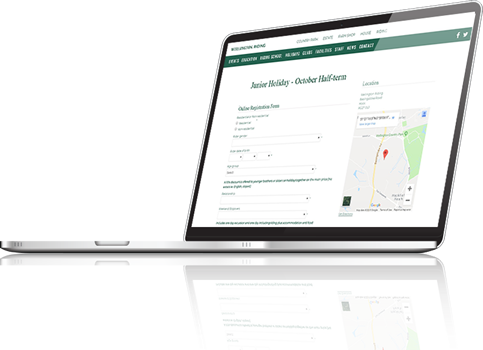 Set up and customise your booking page to obtain all the information you need from your participants. If you need assistance, we have free support. Share your booking page and receive signups and payments immediately. We pay you once a week. Arrangementer, medlemskap, digital dugnad og kontingent. Konserter, show, releaseparty, utstillinger, billetter, festivaler, eventbyrå. Bursdager, julebord, selskap og reunions. Offentlig/privat, kurs og konferanser, interne og eksterne arrangementer, teambuilding m.m. Donasjoner, årsmøter, samlinger, medlemsaktiviteter m.m. "The switch from our old supplier to Participant has been extremely smooth without any delays. Our customers are already finding that completing a payment is much quicker and our back office admin has been reduced from 15 minutes per booking to 2 minutes." "We have found the transition from our old system to Participant seamless and the staff to be very helpful and always responsive to any queries or amendments we may have. The system has a number of features which we have found useful, one of them being the ability to take deposits by using the new ad hoc functionality and in turn enabling us to continue operating in line with our internal procedures. We look forward to working with them on all of our future events." 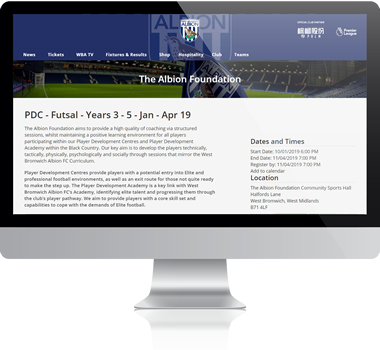 "Following the implementation of our new platform we have seen a reduction in the amount of administration undertaken by the Albion Foundation team which has enabled us to focus on other aspects of the charity. 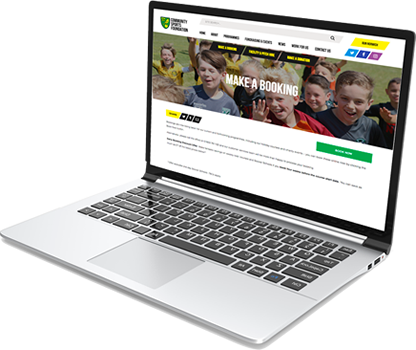 The ongoing support we have received from Participant has been superb and we are delighted with the system and the functionality it offers us." "We trialled the Participant system for our Annual Conference last year and following a successful implementation have decided to start using it to facilitate a wide range of our seminars as well. The support offered from Participant during the setup process has been incredibly beneficial, with staff being very responsive and prepared to travel to us to ensure we are fully confident in using the system. The Participant system is very intuitive so setting up events pages was straight-forward. Thanks to Participant, the conference registration process on the day was seamless. We've received great feedback from our delegates. We look forward to using the system and working with Participant in the future." "Participant has exceeded all hopes and expectations in their efficiency, courtesy, helpfulness and patience with our somewhat complicated requirements. Running touch typing courses for all ages, many with learning difficulties and with various discounts, the booking system required quite a lot of adjusting to start with but they were extremely willing to co-operate in every way and now their system runs perfectly. It has saved me an enormous amount of administrative work and those booking the course have unanimously said that it works well for them. A winner all around. Thank you so much Participant!" "Participant UK have been absolutely crucial in the every-day running of our business. It is almost like having an extra 3 pairs of hands in the office! They have saved an abundance of time when taking bookings for our football academy. 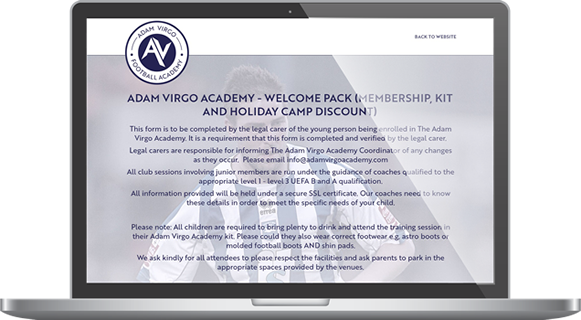 The system makes the every-day running of the academy and our bookings / reservations / refunds / numerous email send outs an absolute breeze. I'm not quite sure where we would be without the system Participant provide. 5 star service and system."